For the first episode of October, the snobs decide to try a few beers from the west coasts beloved Hangar 24 Craft Brewery and the east coast’s Dogfish Head Brewery. 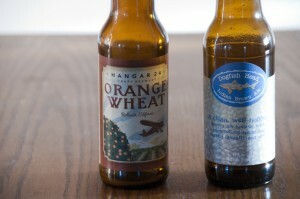 The brews from each brewery were Hangar 24 Orange Wheat and Dogfish Head Indian Brown Ale. We also discussed our favor beer events from the past year. Posted in Blind Taste Testing (2011 - 2013) and tagged beer events, beer festivals, beers, brown ale, Craft Brewery, dogfish, dogfish head, Dogfish Head Brewery, east coast, good times, hangar, Hangar 24 Brewery, Indian Brown Ale, Orange Wheat, snobs, west coasts.